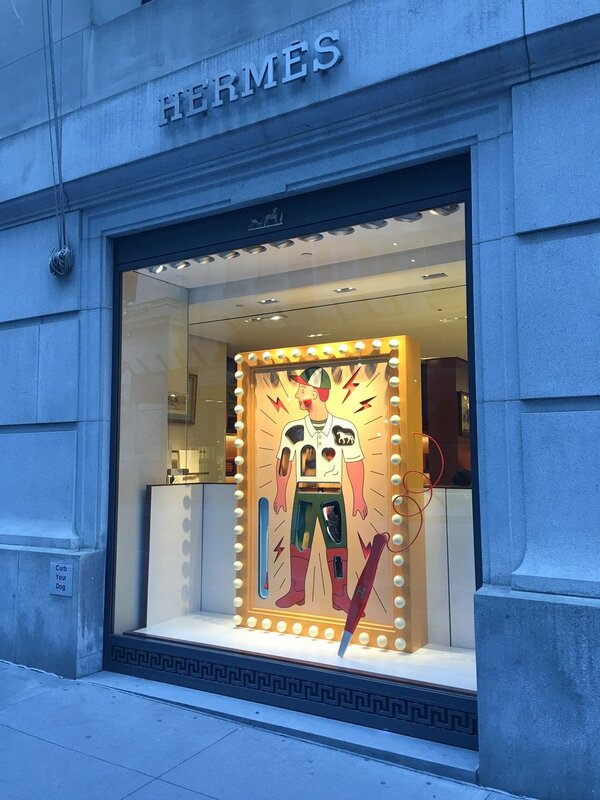 Giant classic board games remind us of childhood fun and incorporate Hermès product in clever ways. 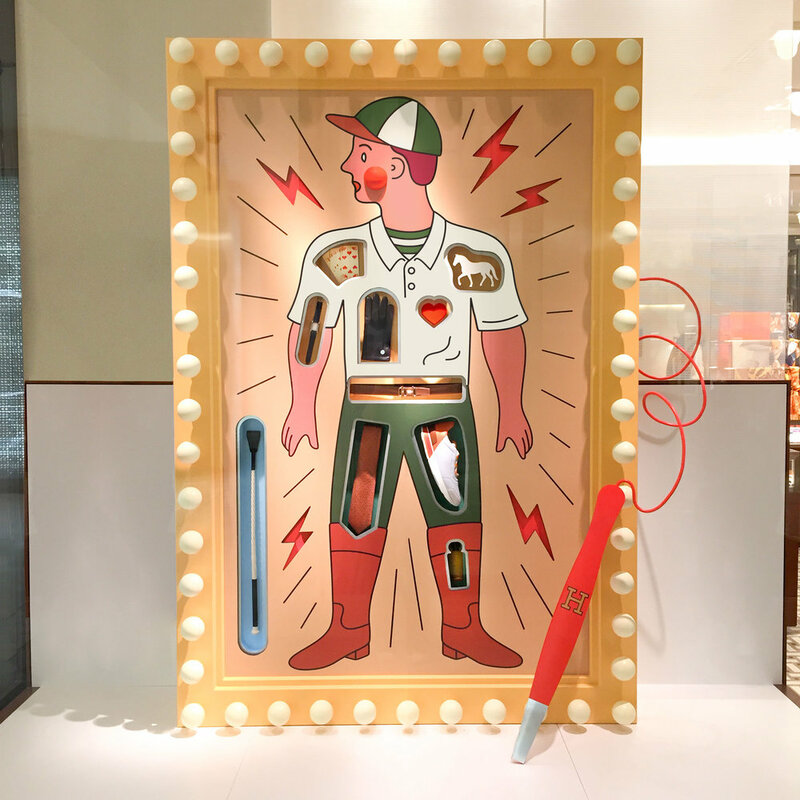 Hermès products appear inside a jockey’s body as a huge game of “Operation”. 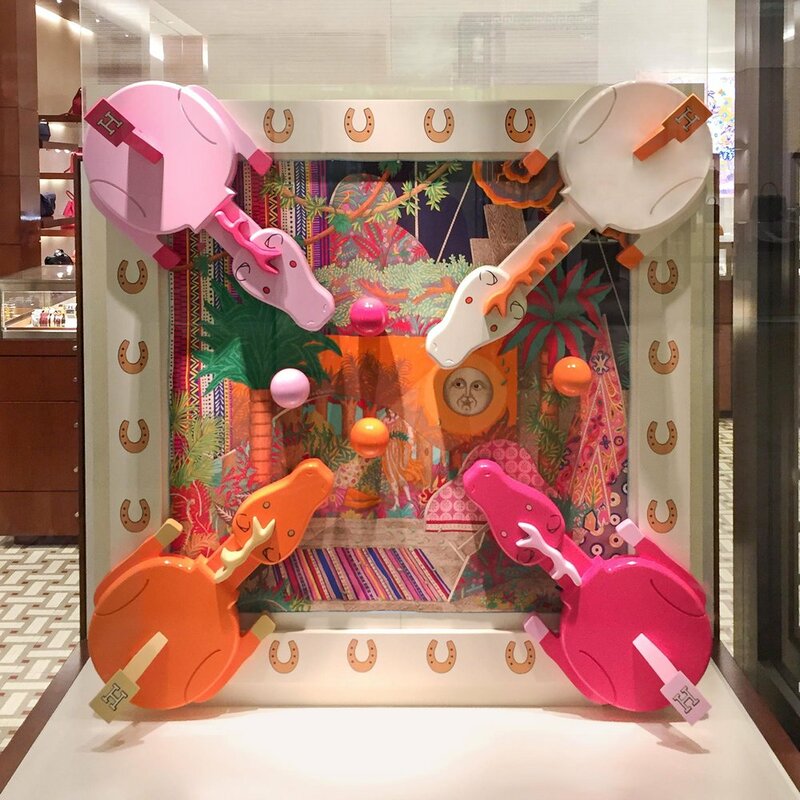 A modified “Mousetrap” features boots and bags as game pieces and bait in the mousetrap!